With all the possible treatment options, most patients find relief from what causes upper back pain in their individual case. The vast majority quickly go back to doing the things they love most with little or no discomfort. With low back pain afflicting 8 of 10 Americans at some point in their lives, some of us might not even know what causes its kissing cousin – upper back pain. But this equally vexing condition stems from a variety of causes that can be effectively targeted by a bevy of treatment options, according to Kaixuan Liu, MD, PhD, founder and president of Atlantic Spine Center. Nestled between your neck and lower back, the mid back – known medically as the thoracic spine area – includes 12 vertebrae. The top of mid back is additionally called upper back. These bones attach to the rib cage, comprising the longest part of the back and also encompassing spinal discs, muscles and ligaments. But because it’s a highly mobile area that’s routinely called on to twist, turn and assist with lifting, the upper back is far from immune to injury and pain. Upper back pain can come on suddenly or over time, but it’s not as common as lower back pain for several reasons, explains Dr. Liu, who is fellowship-trained in minimally invasive spine surgery. 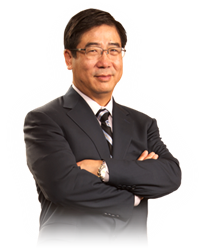 Kaixuan Liu, MD, PhD, is a board-certified physician who is fellowship-trained in minimally invasive spine surgery at Atlantic Spine Center.